Marie, 75, has been suffering from shingles for almost 2 months now and she came into the pharmacy in excruciating pain. She needed medications to manage her bout with shingles – the narcotic oxycodone, the sedative zolpidem and lidocaine patches for the painful areas on her skin. Marie commented to the pharmacist, “I went 75 years taking no pills and now I am a druggie.” But her pain was so debilitating that she moaned as she wrote out her check for the medications. Shingles (herpes zoster) is a painful skin rash, often with blisters that are caused by the varicella-zoster virus, the same virus that causes chickenpox. In people who have had chickenpox (99% of all Americans age 40 and over have had chickenpox), the virus is never fully cleared from the body. Instead, the virus remains dormant in the nerve tissues. When physical or emotional stresses to the body weaken the immune system, the virus reactivates and spreads along the nerve fibers to the particular area of skin supplied by the involved nerve. The older you get the less active your immune system is and the risk of shingles zooms skyward. Marie asks the pharmacist if she can get the shingles vaccine once her rashes clear. She tells Marie that there are no firm guidelines as to how long after one has shingles one has to wait to get this live vaccine. Even though this particular pharmacist is licensed to immunize patients, in Marie’s case, it would be a decision made by her physician. The shingles vaccine is approved for individuals age 50 and over. In a clinical trial performed by the U.S. Department of Veterans Affairs involving over 35,000 adults 60 years old or older, the shingles vaccine reduced the risk of shingles by about half (51%) and the risk of post-herpetic neuralgia (PHN) by 67%. 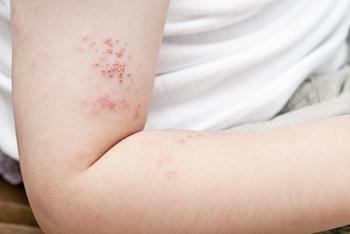 PHN is a painful aftermath of shingles that can persist for years. While the vaccine was most effective in people 60 to 69 years old, it also provided some protection for older groups. Research suggests that the shingles vaccine can protect the individual for at least 6 years, but may last longer. Ongoing studies are being conducted to determine how long the vaccine protects against shingles. Eventually, as study results emerge, a booster shot may be needed. Because the immune system becomes weaker over time, an 80-year-old is more likely to get shingles than a 60-year-old, according to a spokesman ffr the Harvard Medical School. Thus, it was a disappointment when results from the industry-sponsored study that led to approval of the shingles vaccine showed that the vaccine, while still effective, was less so among people in their 80s than those in their 60s and 70s. Moreover, people in their 80s are more likely to have an adverse reaction to the vaccine, so some researchers have stated that the risks of the shingles vaccine for octogenarians may, in fact, outweigh the benefits. However, results reported in 2011 in a study published in The Journal of the American Medical Association may squelch the risk-benefit balancing act. A study of about 300,000 Californians enrolled in the Kaiser Permanente health plan revealed that those who had received the shingles vaccine were half as likely to get shingles as those who had not, regardless of whether they were in their 60s, 70s, or 80s. While the shingles vaccine has been on the market for almost a decade, less than 10% of those ages 60 or more receive it, according to a National Public Radio report. This is partly due to people’s aversion to needle as well as the fact that the vaccine is perceived as pricey - $150 to $250 versus $25 for the flu vaccine or the pneumococcal vaccine – and, therefore, some worry that their insurance will not cover it. Many insurance plans will cover the cost of the vaccine. All Medicare Part D plans cover the shingles vaccine. Medicare Part B does not cover the shingles vaccine so there may be a co-pay. Regardless of the cost, Marie said as she got ready to leave the pharmacy, “I would gladly pay 100 times that amount to be out of this horrible pain.” Lesson learned: get the shingles vaccine. My pharmacist says he needs "prior authorization" -- what's that all about? You find pills in your child's room -- what should you do?